So I’m working on rewriting Mansfield Park. At the risk of upsetting fellow Austenites who have a different opinion, there is something about Fanny Price that I find less than…attractive (I’m trying to be nice). At least in the first part of the novel. Perhaps it is her insecurity and shyness. Or maybe it is the way she takes on the role of caretaker for everyone except herself. And I start to like her. At least a little. When she stands up to her uncle and refuses to marry Crawford, I find myself cheering for her. It’s about time, I want to yell through the pages of the book. Standing up for yourself is not the easiest thing to do. 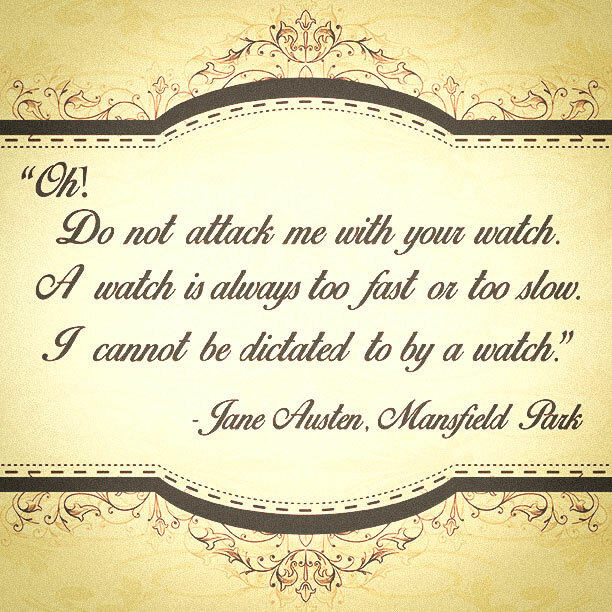 Fanny’s banishment away from Mansfield Park (and back to her parents’ home!) seems like a very extreme punishment, especially given Mr. Bennet’s very different reaction when Elizabeth refuses Mr. Collins. By sending Fanny back to her parents, Sir Thomas ensures that Fanny sees firsthand the living conditions of her youth. It’s a not so subtle reminder of how she would have grown up had the Bertrams not taken care of her. To read more from this post hop on over to Austenauthors.net! Hello Sarah, you have a struggle with Mansfield park. But i’m looking for your books in my language. My English is not so good. I hope you will translate your books in Dutch. I am from Holland and i hope i can read your books in Dutch. I love Amish books and I love Jane Austen. You understand that I want to read your books. I don’t know, this is the place where I can tell it to you but know you know my struggle.